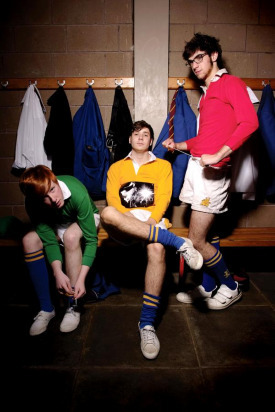 Who: Two Door Cinema Club from Bangor, Northern Ireland. What: Even though you can go to Two Door Cinema Clubs myspace and hear their newest single I Can Talk, Im partial to an earlier single called Something Good Can Work (below). Both will make the bands debut album, due out early next year. Song: Something Good Can Work.